‘Tron’ Sequel Is Back On Track With Disney!!! The ‘Tron‘ sequel seems to be back on the table over at Disney and is currently referred to as ‘Tron 3‘ and will be direct sequel to the 2010 ‘Tron: Legacy‘ film. Joseph Kosinksi is attached to return to the director’s chair for this sequel under the supervision of Alan Horn, Disney Studio’s new head honcho. Jesse Wigutow has also been asked to re-write the script, which Wigutow this will be the first major project for Wigutow. 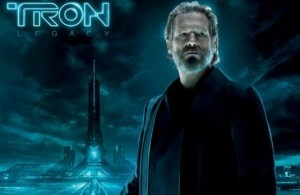 Say what you will about ‘Tron: Legacy‘ it was a decent film, not the best, but a step in the right direction. And the film made over $400 million, so of course there is interest in a sequel. However, at this time, the plot details are being kept secret, but I’m sure it will bring back Garret Hedlund and Jeff Bridges back for more ‘Tron’ goodness. I wonder if Disney will tap Daft Punk again to create the score as well. I am definitely all in for a new ‘Tron’ film. How bout you? This entry was posted on Thursday, December 6th, 2012 at 11:52 am	and is filed under Film, News. You can follow any responses to this entry through the RSS 2.0 feed. You can skip to the end and leave a response. Pinging is currently not allowed. « Casey Affleck Brings ‘The Boston Strangler’ To Warner Bros.!!! I think I still want to look her up. Who, rollerpig? Are you nuts? You said she was a real sparkplug. No, I said buttplug. She's heinous.